My 3rd hometown, Osaka, delivers some fine-*ss tunes! You might remember Doremimate from the Cassette Records compilation ‘The World Is Spinning At 33 1/3 RPM‘, where the track ‘Gymnopedia’ delivered us a really fresh sounding rendition of Satie’s Gymnopédie No. 1. For this release, however, Doremimate goes for a filter-house/techno sound based off of (classic?) Japanese disco. (If anyone knows where the sample is from, let me know!) 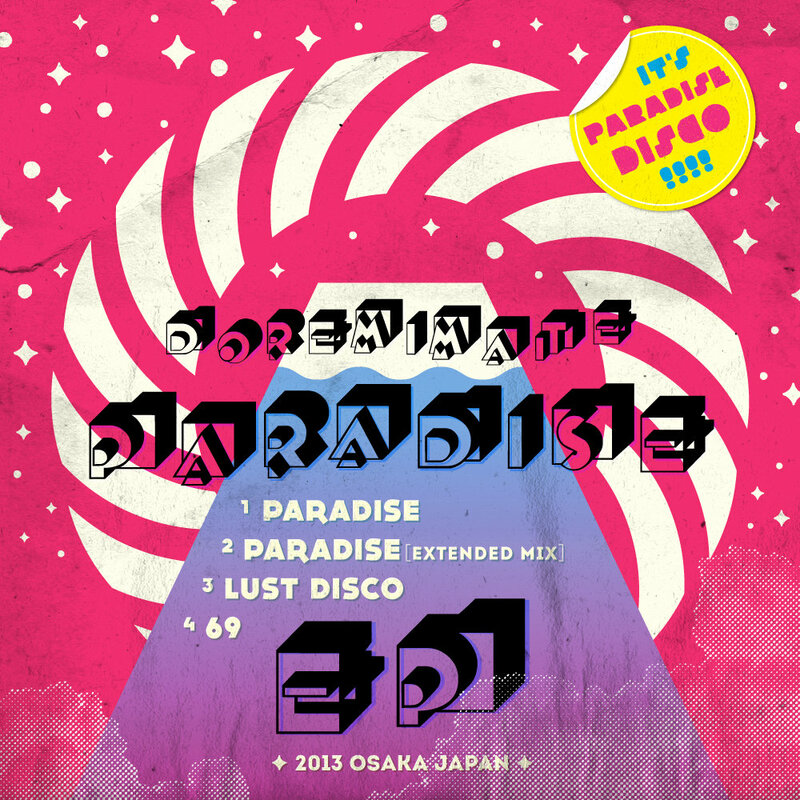 With 2 versions of the title-track Paradise and two more tracks, namely Lust Disco and 69, to finish the EP. Well worth checking out! Have a listen and let me know what you think below.